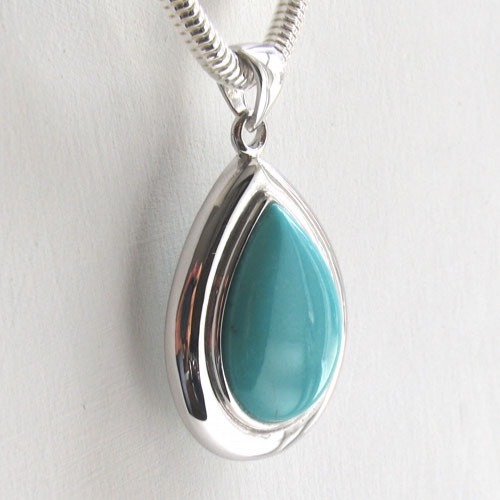 Beautifully sleek lines and a perfect turquoise stone make this a superb turquoise pendant. 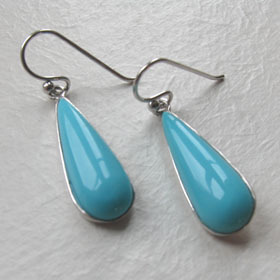 The turquoise is polished smooth and the fabulous turquoise colour has a light sheen. 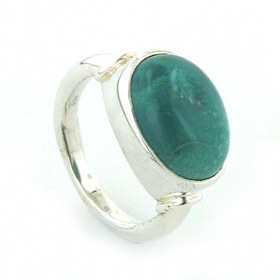 This seals the stone's surface and protects it. 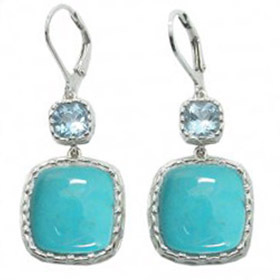 Turquoise is a well loved semi-precious gemstone and for good reason. 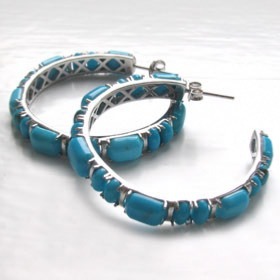 Turquoise has been used to adorn for centuries, being used by the Ancient Egyptians and Romans in rings, earrings, necklaces, brooches, belts and leather cuffs. 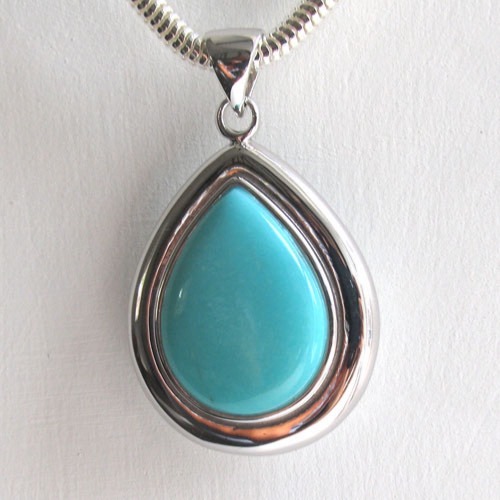 All our turquoise pendants are set in sterling silver. 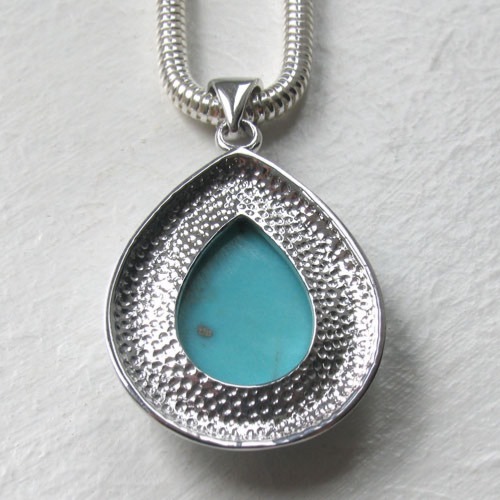 This particular pendant has a wide flange around the stone. 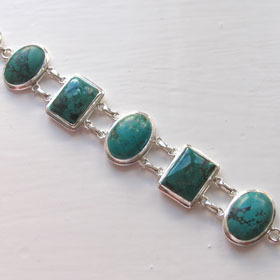 The back of the stone has a wide frame with a hammered design. 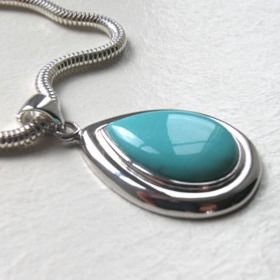 The centre is open to show the back of the turquoise. 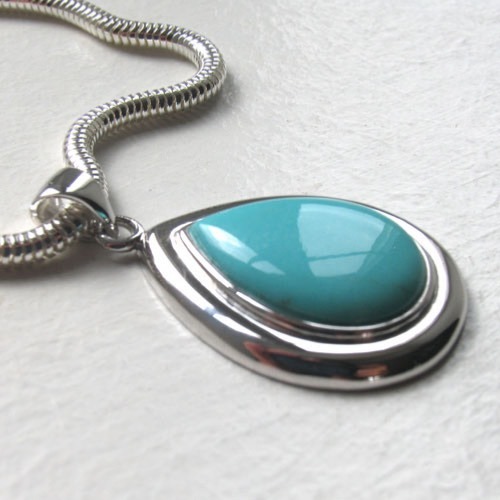 We show this turquoise pendant with our silver snake chain, width 2mm available in lengths 14" to 30". 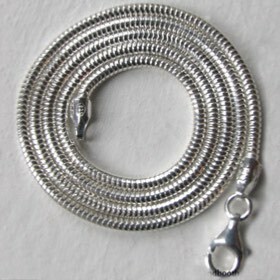 Our Italian snake chains are wonderfully liquid chains and make excellent pendant chains. 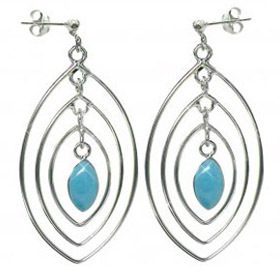 See our entire silver chains collection to find your own individual favourite.